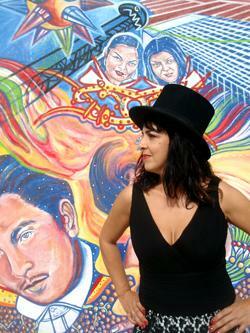 Born in Alcalá la Real near Granada, Spain, in 1969, Amparo Sánchez joined her first band, the Correcaminos (Roadrunners) at 16. She claimed Billie Holiday as her chief inspiration mxing local music with blues, rock, and jazz influences. 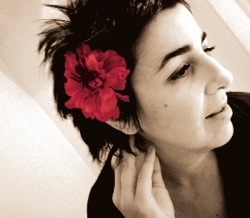 She formed Amparo & the Gang in the early '90s and the group released Haces Bien on Fabrica Magnetica in 1993, only to see the label fold two months later. 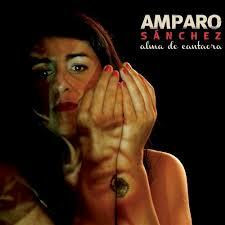 Amparo & the Gang broke up and Sánchez wanted moved to Madrid in 1995 in an effort to escape the local blues circuit. 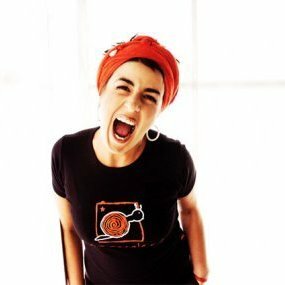 There she met singer/songwriter Manu Chao (formerly known for his work with Mano Negra) who introduced her to classic Cuban and Latin music. Sánchez developed a side group, cleverly named Ampáranos del Blues (Protect Us From the Blues), that toured parts of Spain and southern France. 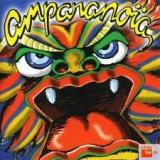 By December 1996, the first edition of Amparanoia (the wordplay gets better once you know it comes from the verb amparar, meaning to protect) was recording its first demo and quickly landed a deal with the Edel label. 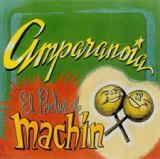 Amparanoia's 1997 debut album, ‘El Poder de Machin’ (a reference to bolero-singer Antonio Machin), was heavy with Latin and bolero influences. The follow up ‘Feria Furiosa’, released in 1999, reflects the participation of radical Basque rock and punk musicians. The radical course the music took turned out to be a dead end. 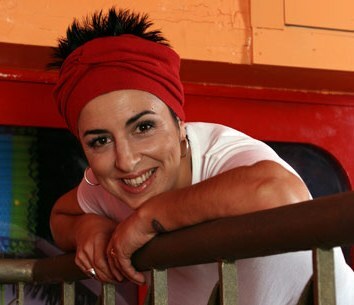 By late 1999 Amparo disbanned the group and recorded a solo-album filled with children's songs (‘Los Bebesones’). A trip to Mexico in 2000 introduced her to the Zapatista communities. On returning to Spain, she organized a sound system mini-tour with like-minded musician friends to raise funds for a longer stay in Mexico. The result led to 2002's ‘Somos Viento’ with an acoustic blend of Cuban and reggae forms. The European link comes from violist Vesko Kountchev (Bulgaria) who sets a trend of adding guest artists from a wide range of musical cultures to the line-up. 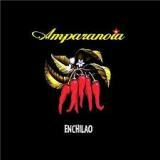 In 2006 Amparanoia released their final album ‘La Vida Te Da’ and recorded a live CD/DVD ‘Seguire Caminando’ at the Barcelona Sala Apollo. This album was released in 2008 and followed by a farewell-tour. 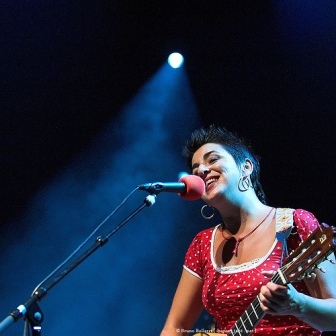 Working under her own name she recorded a first solo album, in collaboration with Joey Burns and John Convertino from the band Calexico (with whom she already recorded before in 2003: ‘Don't Leave Me Now’, featured on her 2004 compilation). The album ‘Tucson-Habana’ was released early 2010. DB: Amparo became wildly popular in the alternative circuit of Europe due to the fact that she toured almost continuously. Like her fellow countrymen Ojos de Brujo and Manu Chao she played a big role in getting the Mestiza movement across the border. No festival did without her presence at the start of the millennium. Her energetic performances are sometimes hard to translate to studio albums but are always of constant quality..